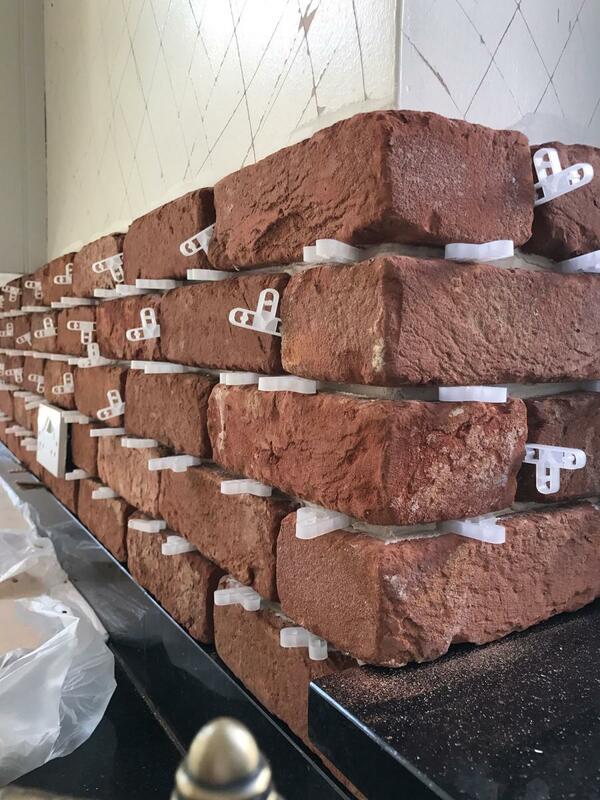 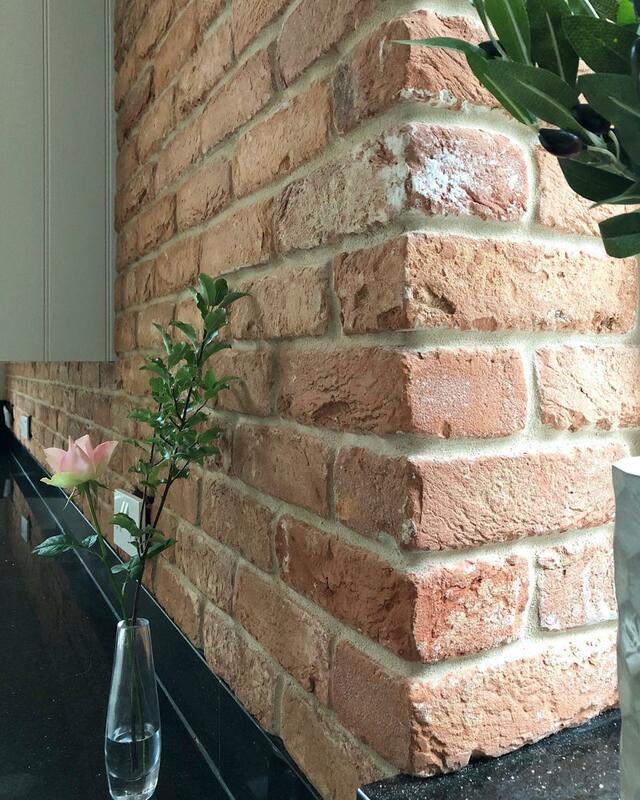 Olde Bayswater Blend brick slips showing just how versatile they can be. 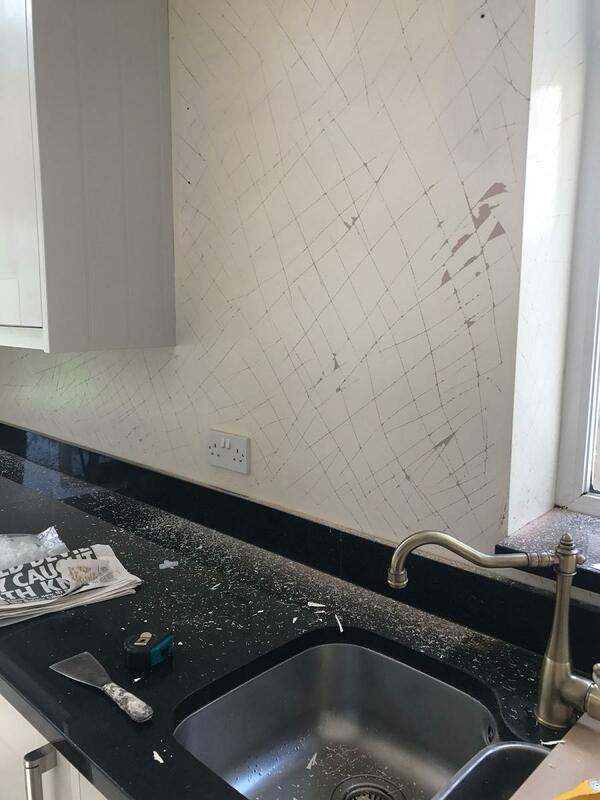 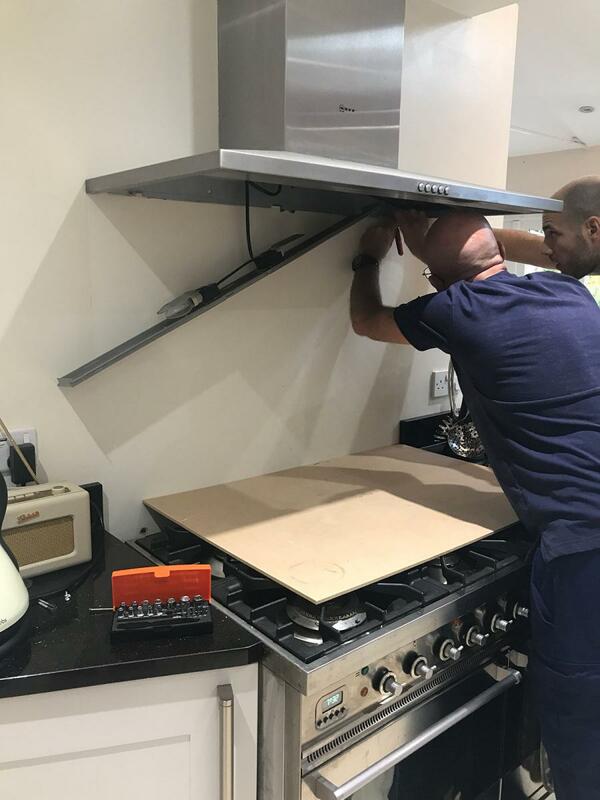 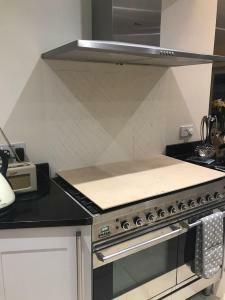 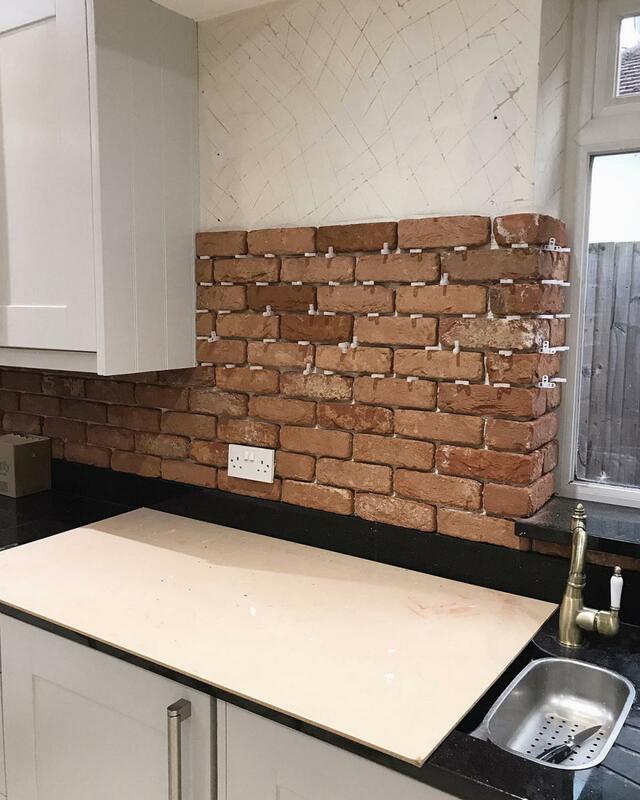 This delightfully beautiful Residential Kitchen Transformation offers us a glimpse of how much of an impact our Olde Bayswater brick slips can have when used to simple effect. 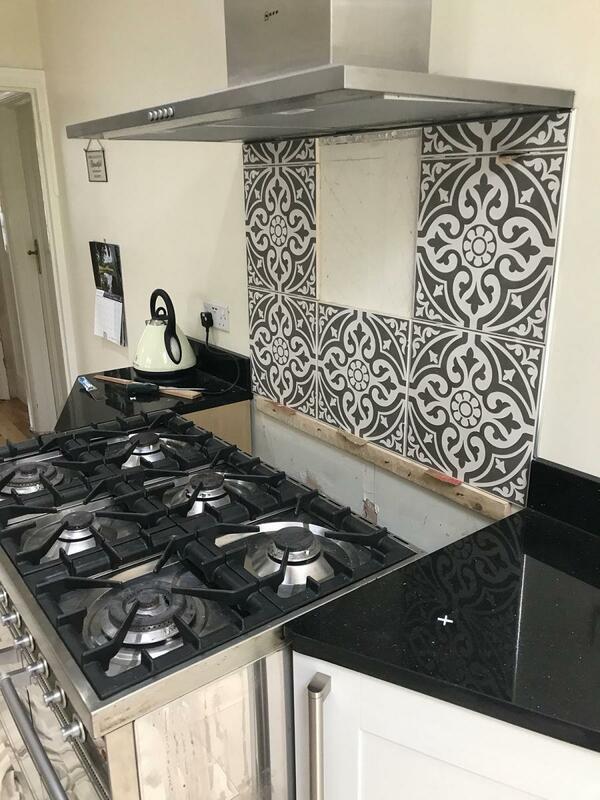 The images provided for this case study were gifted to us directly by our customer Kerry and we would like to give out a heart felt thank you as this is one of the most stunning applications of the Olde Bayswater that we have ever seen. 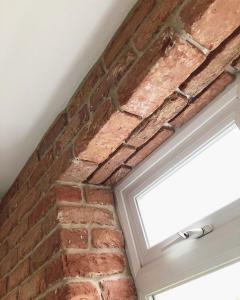 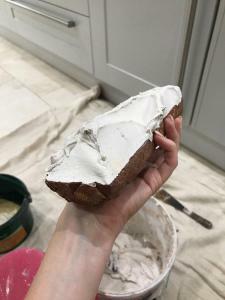 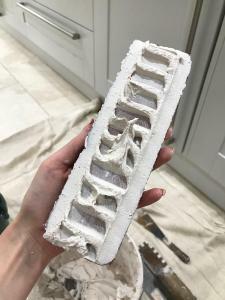 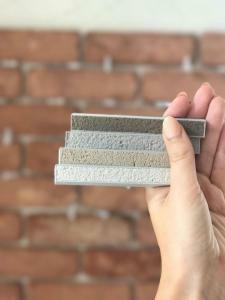 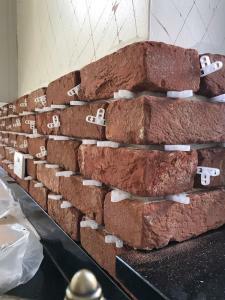 After seeing brick slips being used in restaurants and interior design our customer was bitten by the bug of brick slip cladding. 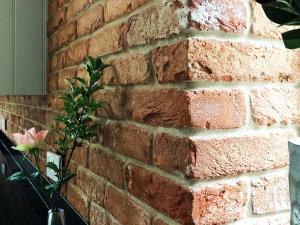 The romantic fascination of how real our brick slips look is common. 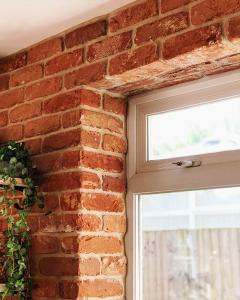 With a rustic worn red brick in mind our customer chose the Olde Bayswater as the brick slip of choice. 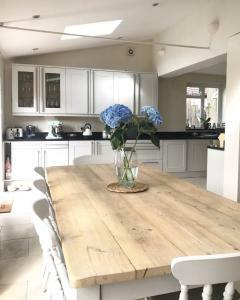 Oak finished cupboards offered up a canvass for this remarkable transformation, although modern in design the timber finish needed to be given a modern, crisp and solid make over. 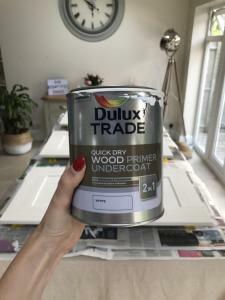 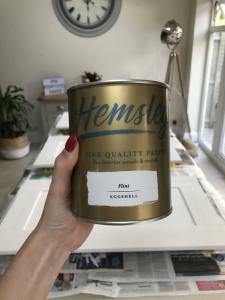 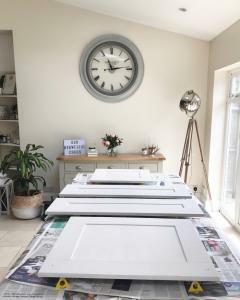 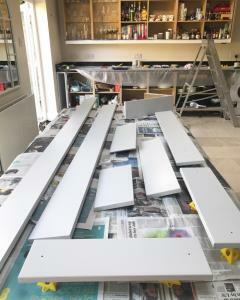 Dulux trade undercoat was applied to the cupboard doors and finished with a fine quality Hemsley eggshell paint. 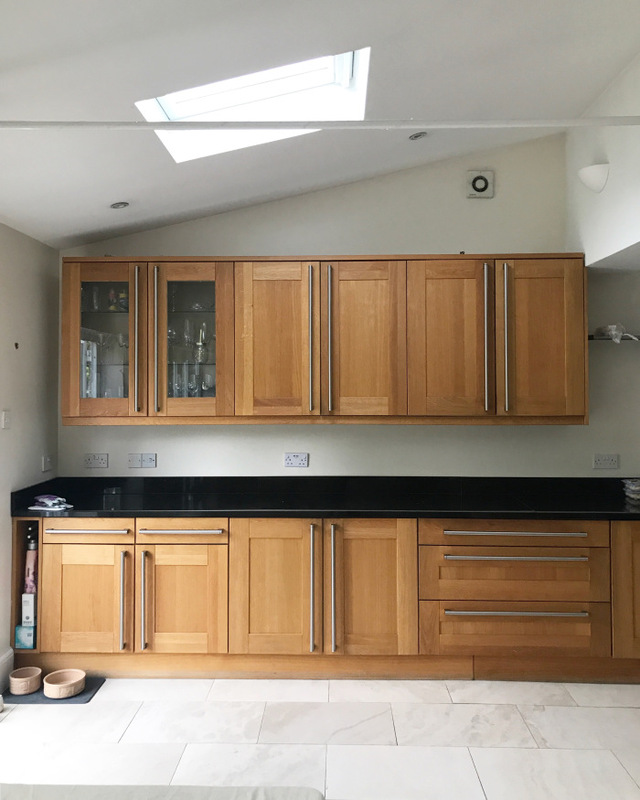 Stylishly covered cupboard units and a clean functional appearance, you could be fooled into believing that the kitchen was fully complete at this stage. 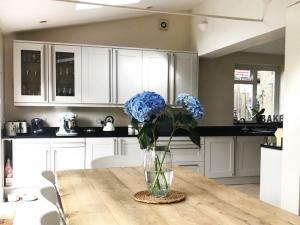 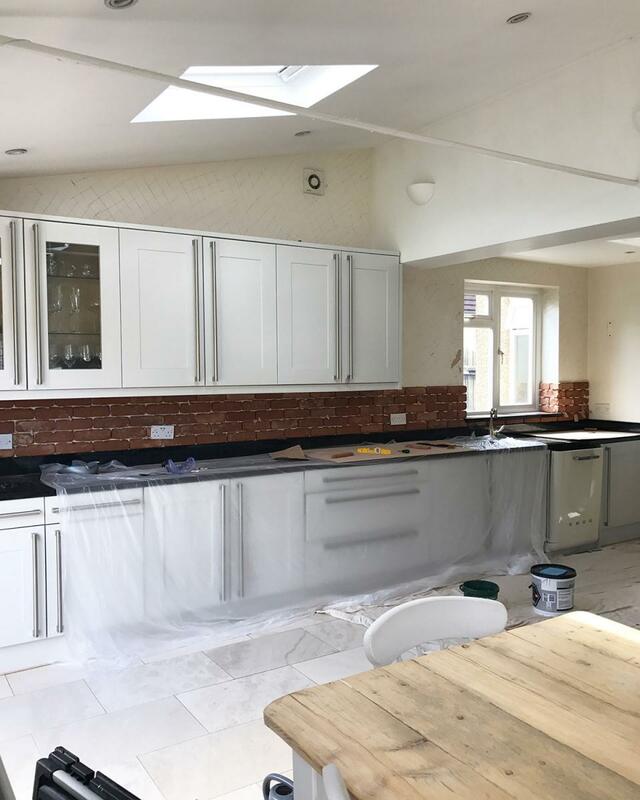 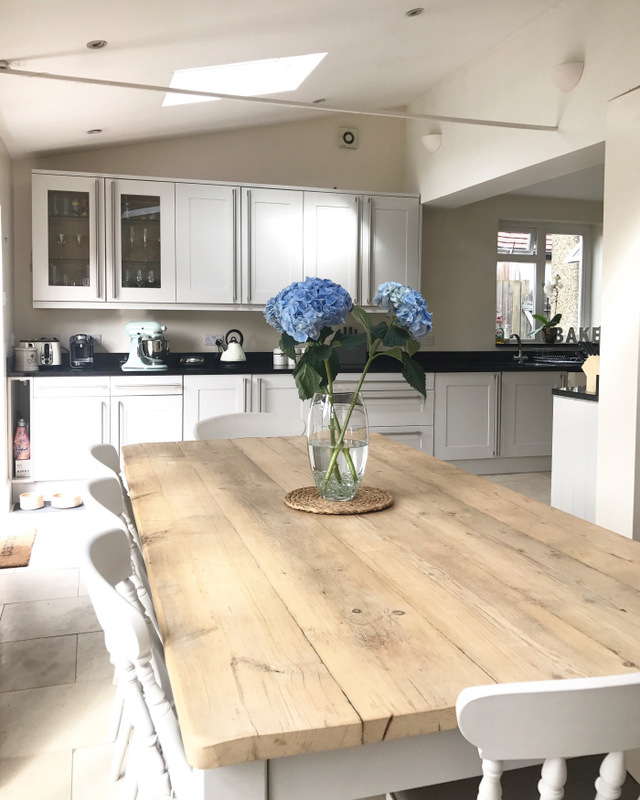 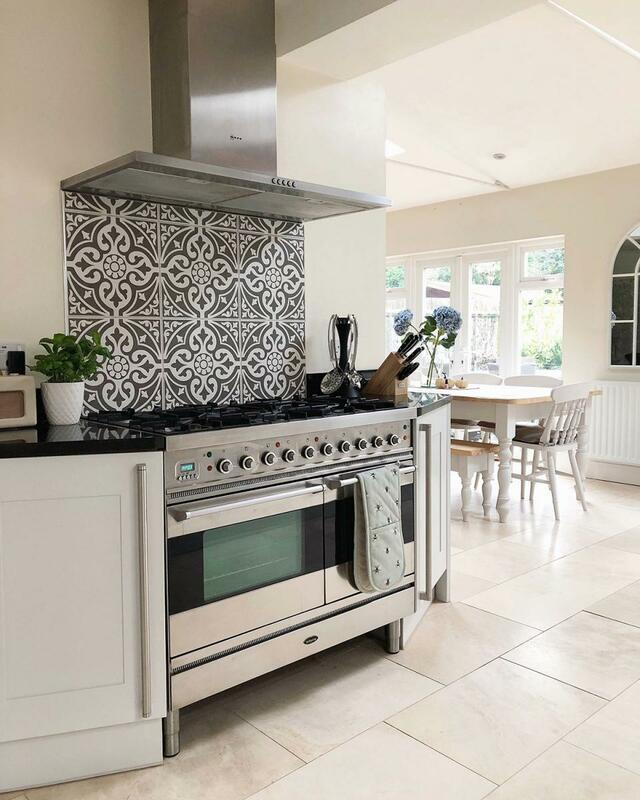 When you look at the before pictures of this stunning kitchen you could be fooled into believing that the kitchen was fully complete from the start. Only when you see the after pictures do you fully grasp the vision that the home owners craved and the necessity of using brick slip cladding. 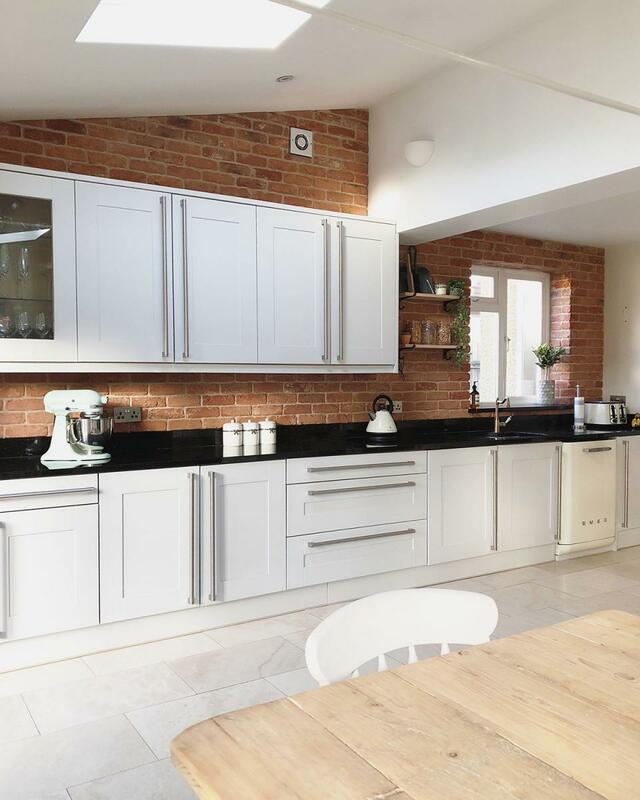 The great thing about this wonderful project is that it offers a design concept which features a definite modern style, with white walls and black worktops intersecting the whole room, defining a modern monochrome concept. 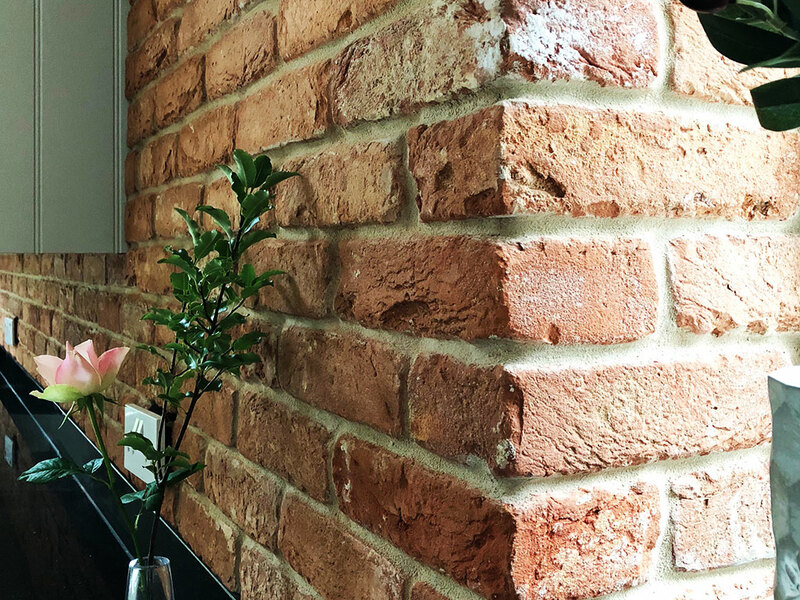 The heart and soul of the room comes from the exposed brickwork. 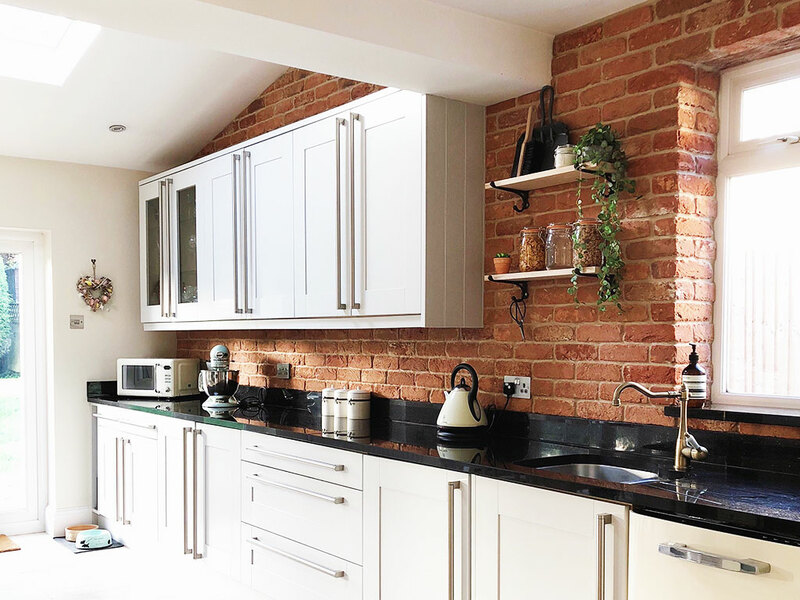 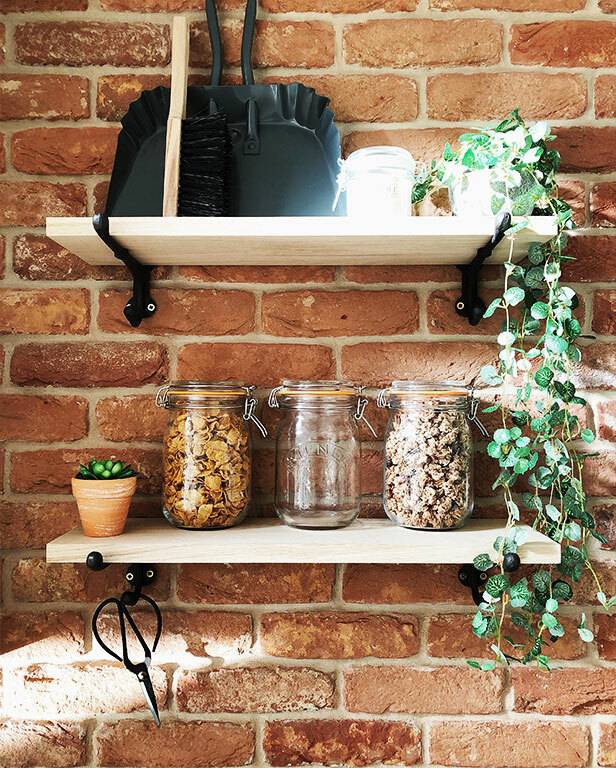 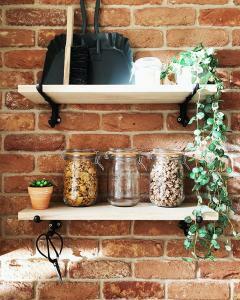 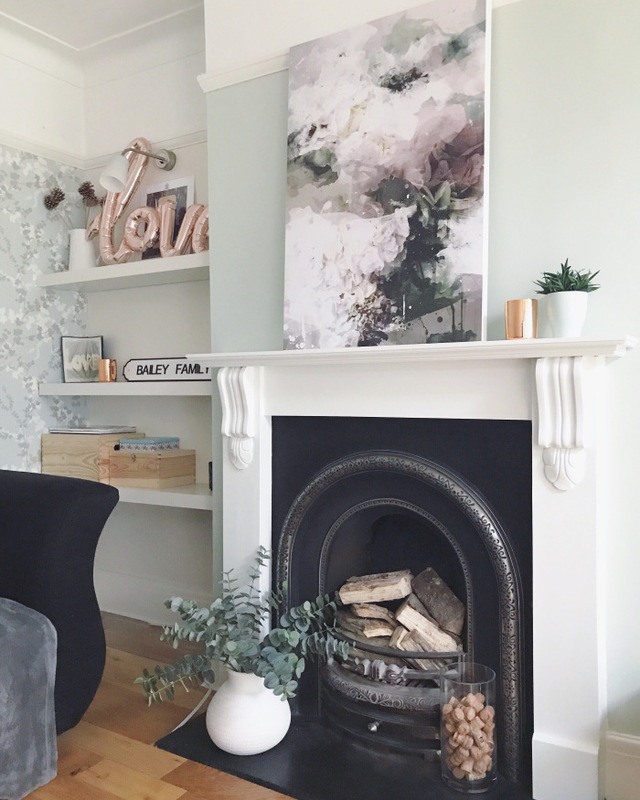 Accessorising brickwork is always fun and our customer has managed to do just that by incorporating the likes of rustic iron and oak shelves, which are mounted perfectly onto the brick surface. 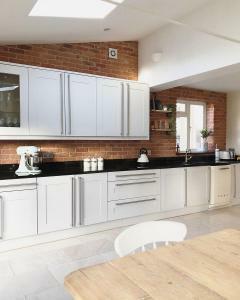 The installation holds a very strong historic note, this seamless and effortless blending of traditional and the modern has been blended with ease and is perhaps the most unique aspect of this installation. Throughout the kitchen the brick slips work with every facet and view point. The warm rich terracotta tones help create a bold punch of colour, corner accents and window reveals help to punctuate the kitchen space and also achieve a cosy feel. 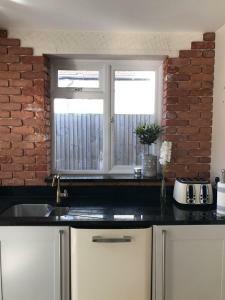 In between the brickwork and the white cupboards, the dark surface of the worktop becomes a functional pathway flowing like a waterway through the space. 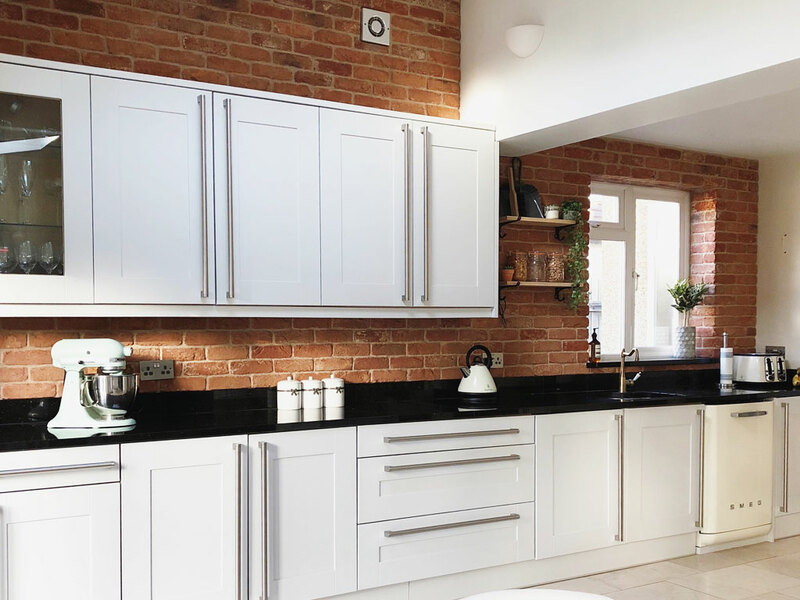 Whether it’s a modern kitchen or a rural farmhouse kitchen the Olde Bayswater brick slip offers a tone and texture that is fitting both internally and externally. Kitchens really do stand out when given the weathered look of an old red brick. 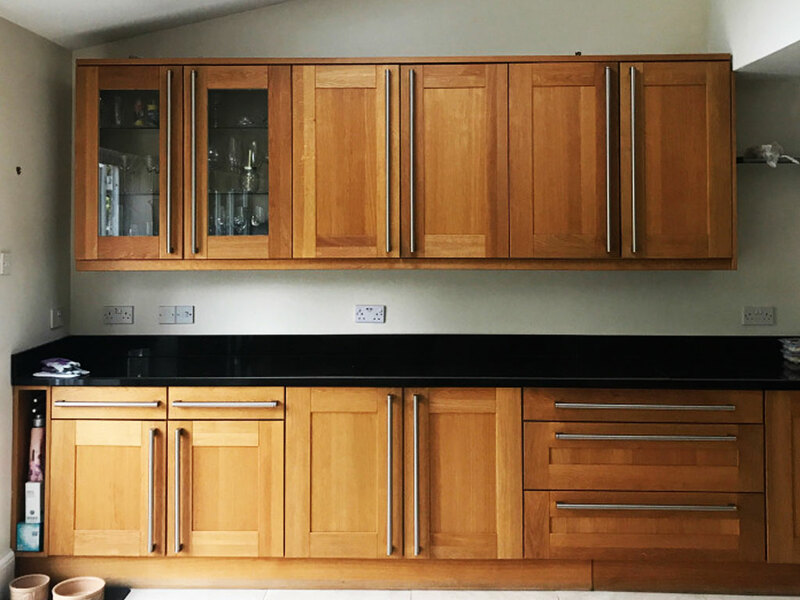 There are few products that we can say don’t look out of place in any application and the Olde Bayswater is certainly one of them. 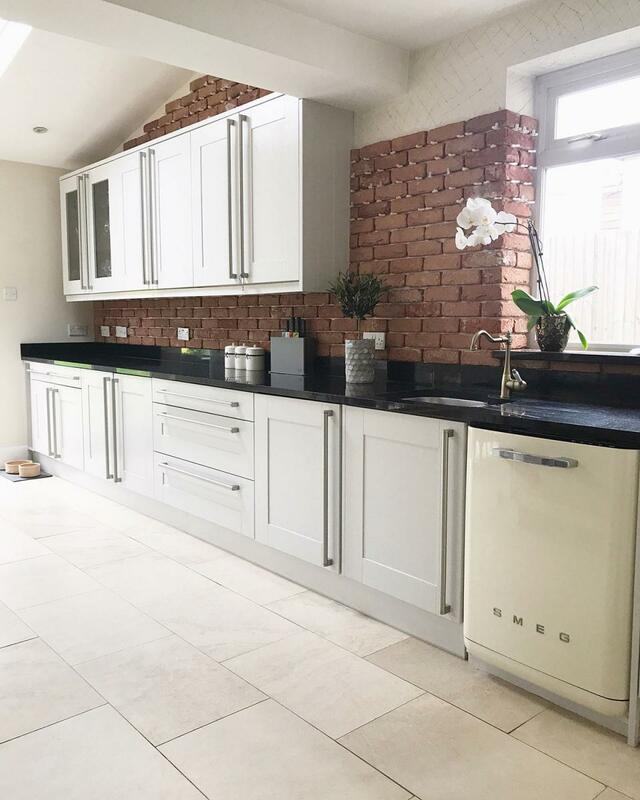 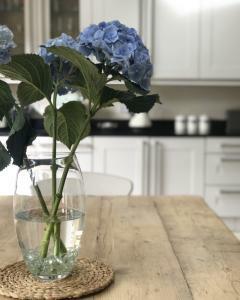 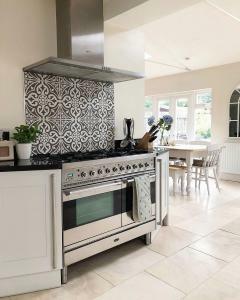 The customer chose the Olde Bayswater due to its rustic and worn appearance, this aesthetic has proven popular over recent years and is the perfect alternative to boring standard kitchen tiles. 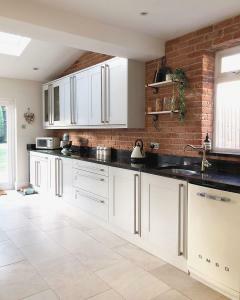 We think the homeowner’s achievement has been to combine modern design with traditional aspects. 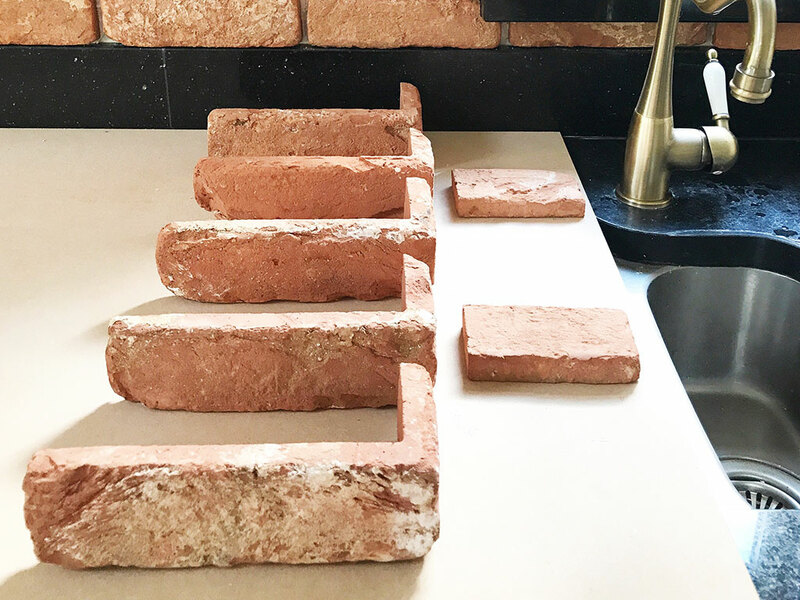 This kitchen has been designed for fun, functionality and appearance, the brick slips balance the character in a way that will engage who ever has the pleasure of being in inside. 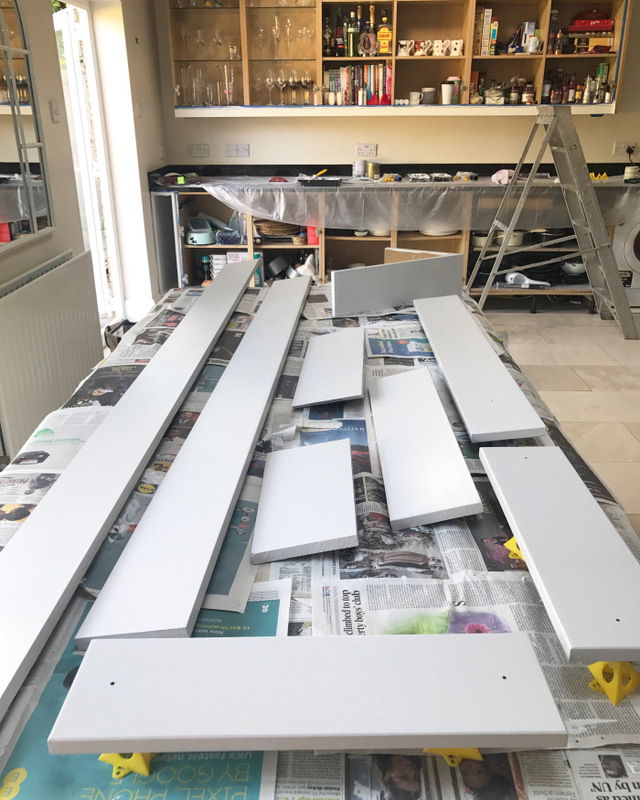 In our opinion the Execution of a “do it your self” project is paramount, it’s ok buying the best products on the market but if they are applied in a substandard way or within a poor design they are not worth having. Thankfully this kitchen is a shining example and we absolutely love the way that our Olde Bayswater brick slips have been represented. 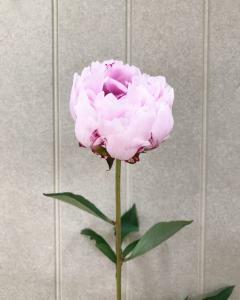 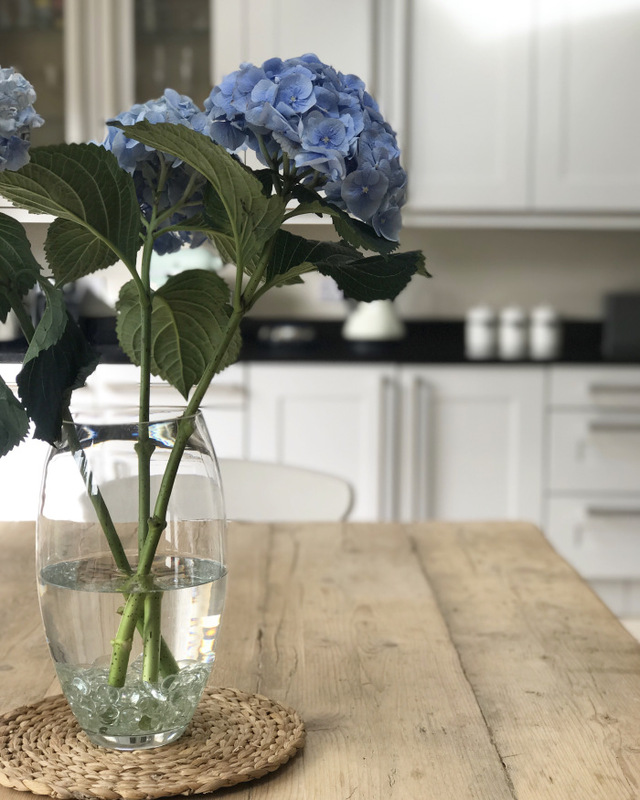 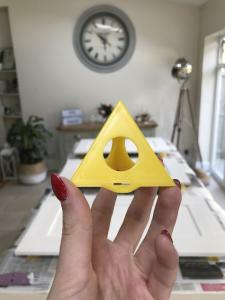 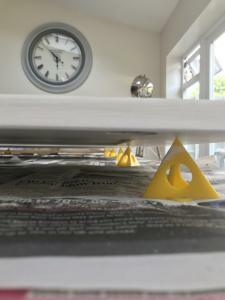 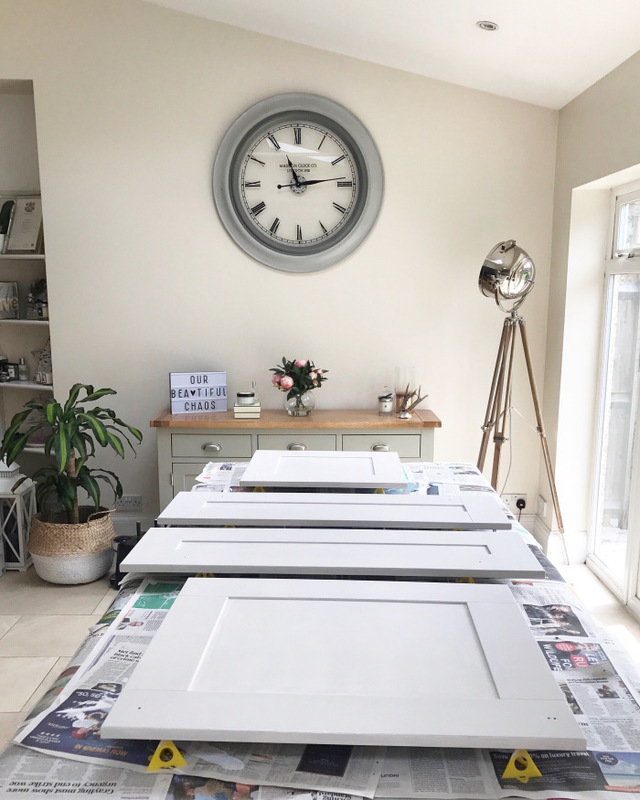 If you would like to see the homeowners view of this project then please visit our customer’s blog below which gives a brilliant first hand breakdown of the installation.